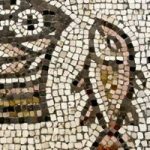 The Council of Chalcedon was a church council held from October 8 to November 1, 451 AD, at Chalcedon (a city of Bithynia in Asia Minor), on the Asian side of the Bosporus-Istanbul today. The council marked a significant turning point in the Christological debates that led to the separation of the church of the Eastern Roman Empire in the 5th century. The Council of Chalcedon was convened by the emperor Marcian, with the reluctant approval of Pope Leo the Great, to set aside the 449 Second Council of Ephesus, better known as the “Robber Council“. The Council of Chalcedon issued the ‘Chalcedonian Definition’, which repudiated the notion of a single nature in Christ, and defined that he has two natures in one person and hypostasis; it also insisted on the completeness of his two natures, Godhead and manhood. The council also issued 27 disciplinary canons governing church administration and authority. In a further decree, later known as the canon 28, the bishops sought to raise the See of Constantinople (New Rome) in stature, claiming that Constantinople enjoyed an honor and authority second to, but comparable to, that of Rome. 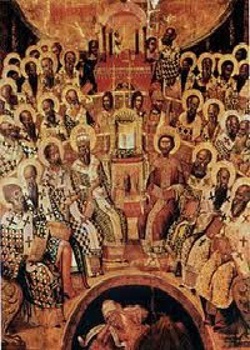 The Council is considered by the Eastern Orthodox Church, it is recognized as infallible in its dogmatic definitions Eastern Orthodox Church (then one church). However, the Council is not accepted by several of the ancient eastern churches, including the Oriental Orthodox of Egypt, Syria and Armenia, and the Assyrian Church of the East. 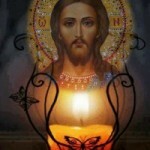 The Oriental Orthodox teach ‘one nature’ in Christ, composed of both Godhead and manhood. Misrepresented as a denial of his true humanity, this used to be denigrated as the heresy of ‘Monophysitism’, though now the neutral terms ‘Miaphysite’ and ‘Miaphysitism’ are widely preferred. In 325, the first ecumenical council (First Council of Nicaea) determined that Jesus Christ was God, “consubstantial” with the Father, and rejected the Arian contention that Jesus was a created being. This was reaffirmed at the First Council of Constantinople (381) and the Council of Ephesus (431). 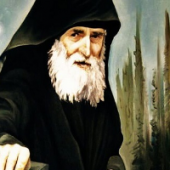 Eutychian controversy: About two years after Cyril of Alexandria‘s death in 444, an aged monk from Constantinople named Eutyches began teaching a subtle variation on the traditional Christology in an attempt (as he described in a letter to Pope Leo I in 448) to stop a new outbreak of Nestorianism. He claimed to be a faithful follower of Cyril’s teaching, which was declared orthodox in the Union of 433 [an error: the union involved no formal statement on Cyril’s orthodoxy]. Cyril had taught that “There is only one physis, since it is the Incarnation, of God the Word.” Cyril had apparently understood the Greek word physis to mean approximately what the Latin word persona (person) means, while most Greek theologians would have interpreted that word to mean natura (nature). Thus, many understood Eutyches to be advocating Docetism, a sort of reversal of Arianism—where Arius had denied the consubstantial divinity of Jesus, Eutyches seemed to be denying his human nature. [clarification needed] Cyril’s orthodoxy was not called into question, since the Union of 433 had explicitly spoken of two physeis in this context [it spoke of a ‘union of two natures’, but this did not make plain that one had to speak of two natures AFTER the union]. Leo I wrote that Eutyches’ error seemed to be more from a lack of skill on the matters than from malice. Further, his side of the controversy tended not to enter into arguments with their opponents, which prevented the misunderstanding from being uncovered. Nonetheless, due to the high regard in which Eutyches was held (second only to the Patriarch of Constantinople in the East), his teaching spread rapidly throughout the east [he was not a teacher, and was never referred to as an authority; the issue was which writings by Cyril of Alexandria had authority]. In November 448, during a local synod in Constantinople, Eutyches was denounced as a heretic by the Bishop Eusebius of Dorylaeum. Eusebius demanded that Eutyches be removed from office. Patriarch Flavian of Constantinople preferred not to press the matter on account of Eutyches’ great popularity. He finally relented and Eutyches was condemned as a heretic by the synod. 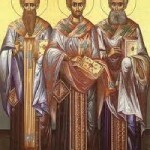 However, the Emperor Theodosius II and the Patriarch of Alexandria, Dioscorus, rejected this decision ostensibly because Eutyches had repented and confessed his orthodoxy [no one claimed that Eutyches had ‘repented’]. Dioscorus then held his own synod which reinstated Eutyches. The competing claims between the Patriarchs of Constantinople and Alexandria led the Emperor to call a council which was held in Ephesus in 449. The emperor invited Pope Leo I to preside. [clarification needed] He declined to attend on account of the invasion of Italy by Attila the Hun. However, he agreed to send four legates to represent him. Leo provided his legates, one of whom died en route, with a letter addressed to Flavian of Constantinople explaining Rome’s position in the controversy. Leo’s letter, now known as Leo’s Tome, confessed that Christ had two natures, and was not of or from two natures. Although it could be reconciled with Cyril’s Formula of Reunion, it was not compatible in its wording with Cyril’s Twelve Anathemas. In particular, the third anathema reads: “If anyone divides in the one Christ the hypostases after the union, joining them only by a conjunction of dignity or authority or power, and not rather by a coming together in a union by nature, let him be anathema.” This appeared to some to be incompatible with Leo’s definition of two natures hypostatically joined. 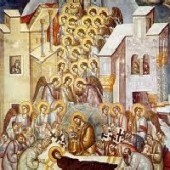 However, the Council would determine (with the exception of 13 Egyptian bishops) that this was an issue of wording and not of doctrine; a committee of bishops appointed to study the orthodoxy of the Tome using Cyril’s letters (which included the twelve anathemas) as their criteria unanimously determined it to be orthodox, and the Council, with few exceptions, supported this [this is garbled, and what council is being talked about?]. “Latrocinium” of Ephesus: On August 8, 449 the Second Council of Ephesus began its first session with Dioscorus presiding by command of the Emperor. Dioscorus began the council by banning all members of the November 447 synod which had deposed Eutyches. 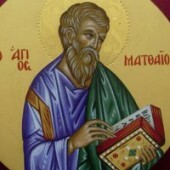 He then introduced Eutyches who publicly professed that while Christ had two natures before the incarnation, the two natures had merged to form a single nature after the incarnation. Of the 130 assembled bishops, 111 voted to rehabilitate Eutyches. Throughout these proceedings, Roman legate Hilary repeatedly called for the reading of Leo’s Tome [no, of Leo’s letter to the council], but was ignored. Dioscorus then moved to depose Flavian and Eusebius of Dorylaeum on the grounds that they taught the Word had been made flesh and not just assumed flesh from the Virgin and that Christ had two natures. When Flavian and Hilary objected, Dioscorus called for a pro-monophysite mob to enter the church and assault Flavian as he clung to the altar. Flavian was mortally wounded. Dioscorus then placed Eusebius of Dorylaeum under arrest and demanded the assembled bishops approve his actions. Fearing the mob, they all did. The papal legates refused to attend the second session at which several more orthodox bishops were deposed, including Ibas of Edessa, Irenaeus of Tyre (a close personal friend of Nestorius), Domnus of Antioch, and Theodoret. Dioscorus then pressed his advantage by having Cyril of Alexandria‘s Twelve Anathemas posthumously declared orthodox with the intent of condemning any confession other than one nature in Christ. Roman Legate Hilary, who as pope dedicated an oratory in the Lateran Basilica in thanks for his life, managed to escape from Constantinople and brought news of the Council to Leo who immediately dubbed it a “synod of robbers” — Latrocinium — and refused to accept its pronouncements. The decisions of this council now threatened schism between the East and the West. Convocation and session: The situation continued to deteriorate, with Leo demanding the convocation of a new council and Emperor Theodosius II refusing to budge, all the while appointing bishops in agreement with Dioscorus. All this changed dramatically with the Emperor’s death and the elevation of Marcian, an orthodox Christian, to the imperial throne. To resolve the simmering tensions, Marcian announced his intention to hold a new council. Leo had pressed for it to take place in Italy, but Emperor Marcian instead called for it to convene at Nicaea. Hunnish invasions forced it to move at the last moment to Chalcedon, where the council opened on October 8, 451. Marcian had the bishops deposed by Dioscorus returned to their dioceses and had the body of Flavian brought to the capital to be buried honorably. The Emperor asked Leo to preside over the council, but Leo again chose to send legates in his place. This time, Bishops Pachasinus of Lilybaeum and Julian of Cos and two priests Boniface and Basil represented the western church at the council. The Council of Chalcedon condemned the work of the Robber Council and professed the doctrine of the Incarnation presented in Leo’s Tome. [clarification needed] Attendance at this council was very high, with about 370 bishops (or presbyters representing bishops) attending. Paschasinus refused to give Dioscorus (who had excommunicated Leo leading up to the council) a seat at the council. As a result, he was moved to the nave of the church. Paschasinus further ordered the reinstatement of Theodoret and that he be given a seat, but this move caused such an uproar among the council fathers, that Theodoret also sat in the nave, though he was given a vote in the proceedings, which began with a trial of Dioscorus. Marcian wished to bring proceedings to a speedy end, and asked the council to make a pronouncement on the doctrine of the Incarnation before continuing the trial. The council fathers, however, felt that no new creed was necessary, and that the doctrine had been laid out clearly in Leo’s Tome. They were also hesitant to write a new creed as the Council of Ephesus had forbidden the composition or use of any new creed. The second session of the council ended with shouts from the bishops, “It is Peter who says this through Leo. This is what we all of us believe. This is the faith of the Apostles. 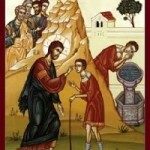 Leo and Cyril teach the same thing.” However, during the reading of Leo’s Tome, three passages were challenged as being potentially Nestorian, and their orthodoxy was defended by using the writings of Cyril. Nonetheless due to such concerns, the Council decided to adjourn and appoint a special committee to investigate the orthodoxy of Leo’s Tome, judging it by the standard of Cyril’s Twelve Chapters, as some of the bishops present raised concerns about their compatibility. This committee was headed by Anatolius, Patriarch of Constantinople, and was given five days to carefully study the matter; Cyril’s Twelve Chapters were to be used as the orthodox standard. [clarification needed] The committee unanimously decided in favor of the orthodoxy of Leo, determining that what he said was compatible with the teaching of Cyril. A number of other bishops also entered statements to the effect that they believed that Leo’s Tome was not in contradiction with the teaching of Cyril as well. We, then, following the holy Fathers, all with one consent, teach people to confess one and the same Son, our Lord Jesus Christ, the same perfect in Godhead and also perfect in manhood; truly God and truly man, of a reasonable [rational] soul and body; consubstantial [co-essential] with the Father according to the Godhead, and consubstantial with us according to the Manhood; in all things like unto us, without sin; begotten before all ages of the Father according to the Godhead, and in these latter days, for us and for our salvation, born of the Virgin Mary, the Mother of God, according to the Manhood; one and the same Christ, Son, Lord, only begotten, to be acknowledged in two natures, inconfusedly, unchangeably, indivisibly, inseparably; (ἐν δύο φύσεσιν ἀσυγχύτως, ἀτρέπτως, ἀδιαιρέτως, ἀχωρίστως – in duabus naturis inconfuse, immutabiliter, indivise, inseparabiliter) the distinction of natures being by no means taken away by the union, but rather the property of each nature being preserved, and concurring in one Person (prosopon) and one Subsistence (hypostasis), not parted or divided into two persons, but one and the same Son, and only begotten God (μονογενῆ Θεὸν), the Word, the Lord Jesus Christ; as the prophets from the beginning [have declared] concerning Him, and the Lord Jesus Christ Himself has taught us, and the Creed of the holy Fathers has handed down to us. States that traveling bishops are subject to canon law. Canon 28 grants equal privileges (isa presbeia) to Constantinople as of Rome because Constantinople is the New Rome as renewed by canon 36 of the Quinisext Council. The papal legates were not present for the vote on this canon, and protested it afterwards, and it was not ratified by Pope Leo in Rome. According to some ancient Greek collections, canons 29 and 30 are attributed to the council: canon 29, which states that an unworthy bishop cannot be demoted but can be removed, is an extract from the minutes of the 19th session; canon 30, which grants the Egyptians time to consider their rejection of Leo’s Tome, is an extract from the minutes of the fourth session. In all likelihood an official record of the proceedings was made either during the council itself or shortly afterwards. The assembled bishops informed the pope that a copy of all the “Acta” would be transmitted to him; in March, 453, Pope Leo commissioned Julian of Cos, then at Constantinople, to make a collection of all the Acts and translate them into Latin. [clarification needed] Most of the documents, chiefly the minutes of the sessions, were written in Greek; others, e.g. the imperial letters, were issued in both languages; others, again, e.g. the papal letters, were written in Latin. Eventually nearly all of them were translated into both languages. The status of Constantinople: The Council of Chalcedon also elevated the See of Constantinople to a position “second in eminence and power to the Bishop of Rome“. After the passage of the Canon 28, Rome filed a protest against the reduction of honor given to Antioch and Alexandria. However, fearing that withholding Rome’s approval would be interpreted as a rejection of the entire council, in 453 the pope confirmed the council’s canons with a protest against the 28th. Status of Jerusalem: The metropolitan of Jerusalem was elevated to the status of “patriarch“, bringing the number of patriarchies to five. Consequences of the council: The near-immediate result of the council was a major schism. [clarification needed] The bishops that were uneasy with the language of Pope Leo’s Tome repudiated the council, saying that the acceptance of two physes was tantamount to Nestorianism. Dioscorus, the Patriarch of Alexandria, advocated miaphysitism and had dominated the Council of Ephesus. Churches that rejected Chalcedon in favor of Ephesus broke off from the rest of the Church in a schism, the most significant among these being the Church of Alexandria, today known as the Coptic Orthodox Church of Alexandria. Justinian I attempted to bring those monks who still rejected the decision of the Council of Chalcedon into communion with the greater church. The exact time of this event is unknown, but it is believed to have been between 535 and 548. St Abraham of Farshut was summoned to Constantinople and he chose to bring with him four monks. Upon arrival, Justinian summoned them and informed them that they would either accept the decision of the Council or lose their positions. Abraham refused to entertain the idea. Theodora tried to persuade Justinian to change his mind, seemingly to no avail. 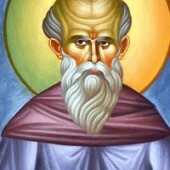 Abraham himself stated in a letter to his monks that he preferred to remain in exile rather than subscribe to a faith contrary to that of Athanasius. They were not alone, and the non-Chalcedon churches compose Oriental Orthodoxy, with the Church of Alexandria as their spiritual leader. 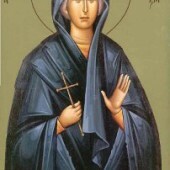 Only in recent years has a degree of rapprochement between Chalcedonian Christians and the Oriental Orthodox been seen.